Since June 2015 Stylianos Koukoumialos has been an Associate Professor of Operations Research at the Department of Business Administration of the Technological Educational Institute of Larissa. He teaches the undergraduate courses Operations Research, Logistics and Decision Support Systems, while in the past, he has also taught the undergraduate course Applications of Operations Research in Production. Furthermore between October 2004 and February 2010 he worked as an Adjunct Professor in the Department of Business Administration and in the Department of Financial and Management Engineering of the University of Aegean, as well as in the Department of Mechanical Engineering of the University of Thessaly. In that Department, he taught undergraduate and graduate courses in the area of Operations Research, Operations Management and Applied Probability. His research interests include operations research and management methods, supply chain management, and analysis and performance evaluation of production/inventory systems. Stylianos Koukoumialos was born in Athens, Greece, in 1973, and grew up in Chios island. He received his Diploma and PhD degrees in Mechanical and Industrial Engineering from the University of Thessaly, Greece, in 1997 and 2003, respectively. During 2004-2009 he was an Instructor at the University of the Aegean, Greece, where he taught undergarduate and graduate courses in the Department of Business Administration and the Department of Financial and Management Engineering. Since 2009, he has been Assistant Professor in the Department of Business Administration at the Technological Educational Institute of Larisa, Greece, and Instructor and Research Associate of the Production Management Laboratory in the Department of Mechanical Engineering at the University of Thessaly. He has published 12 articles in refereed scientific journals and book volumes, and he has participated in 13 sponsored scientific projects. 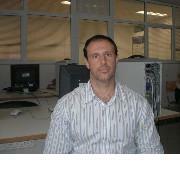 He is a member of the Technical Chamber of Greece. He has supervised several Diploma Theses in the Department of Financial and Management Engineering and in the Department of Business Administration at the University of the Aegean and in the Department of Mechanical Engineering at the University of Thessaly and many B.A. thesis in the Department of Business Administration at the Technological Education Instute of Larisa.